The Oklahoma Farm Bureau Women’s Leadership Committee has joined forces with the Oklahoma Farm Bureau Foundation for Agriculture to provide accurate agriculture books to schools across our state. In order to be eligible for consideration, a teacher from a school can submit an application for a specific grade level OR a school librarian can submit an application for books that span multiple grade levels. There can only be one application submitted per school. Most books are elementary-age-appropriate. Teachers will be given the opportunity to apply for the books each fall. Applications will be sent to all Oklahoma schools and county Farm Bureau offices to encourage participation. The books will be selected by the Women’s Leadership sub-committee and will be chosen from the American Farm Bureau Foundation for Agriculture’s book database. They will cover various agriculture topics that are appropriate for the grade levels receiving the books. The program is open to all farmers, and donations are 100 percent tax deductible. Agricultural producers wishing to donate harvested crops, please download, print, and complete the Bushels for Books PDF form, and take the filled-out form to your local coop or grain elevator to designate how many bushels you would like to donate to the program.  Please market donated grain immediately and deposit the funds into an account for the Oklahoma Farm Bureau Foundation for Agriculture. Please collect the completed donation form the producer turns in and mail it to the foundation with the payment. We will send a tax receipt directly to the producer. Thank you for your participation in the Bushels for Books program to provide accurate agriculture books to Oklahoma schools! Please note that winners will be awarded their bushel baskets at the Flapjack Fundraiser breakfast during the Oklahoma Farm Bureau annual meeting on Saturday, November 17th. Winners must attend the Flapjack Fundraiser breakfast to receive their books. For questions about Bushels for Books, please contact Marcia Irvin at (405) 523-2405.